Those of us old enough to remember vinyl records-notwithstanding their recent comeback-might recall that when there was a scratch on the album, the needle sometimes got stuck in the groove. The same music or lyric would keep repeating as the tone arm couldn’t navigate into the next groove. Our thoughts have a similar habit as they keep repeating the same stories ad nauseam. As they do so, they summon old memories and feelings and so we struggle to change. Thought is automatic in that it presents itself without our noticing it. We become trapped in a rut of old thoughts. The first step in freeing yourself from this mental groove is in learning to see your thoughts. If we don’t notice our thoughts, we become indentured to them. We become the prisoner of what our thoughts tell us. Developing an awareness of your thoughts-what I call thinking-allows a deeper and more profound sense of wisdom to prevail. Seeing your thoughts is a matter of timing. With practice we can become more alert and see an individual thought operating. This process of becoming alert to our thoughts is like watching a slow-motion replay from a sports event: you can see the play unfolding slowly and clearly. When we can learn to see our thought, we don’t have to become the thought. If I can’t see the thought, I won’t be having the thought, the thought will be having me. Throughout your day, try to notice your thoughts. Imagine sitting in front of a large TV monitor and watching your thoughts transcribed on the screen. Don’t judge them, just see them. Just sit back and watch in a detached way and observe what you’re seeing. As you develop the acuity to see your thoughts, you’ll be creating an important tool toward your mastery of thinking. You’re developing a powerful muscle memory-the ability to witness your thoughts. When you notice the old thought clamoring for your attention, place you forefinger vertically in front of your lips and say, “shhhh” to the thought! Remember that you can choose not to open the door to it. The thought will continue to try to draw your attention, so be persistent. As you progress in your ability to witness your thoughts, you can look at the recurring themes and stories that they present to you. These are the core beliefs that you carry with you that write the script of your life. These recurring themes tend to limiting and often serve as self-fulfilling prophecies. It’s essential to notice how they attract your attention like a magnet. To break free of their pull you must first become aware of the tug of these old thoughts. Try tracking them back to their source, which are your fundamental beliefs about yourself. Once you’ve progressed in your new ability to see your old thoughts operating, you’ll notice a space between the thoughts. This is the space where your possibilities lie, the space where you can manifest change in your life. In the instant before you become your next thought, everything is possible. This is the defining moment we seek. 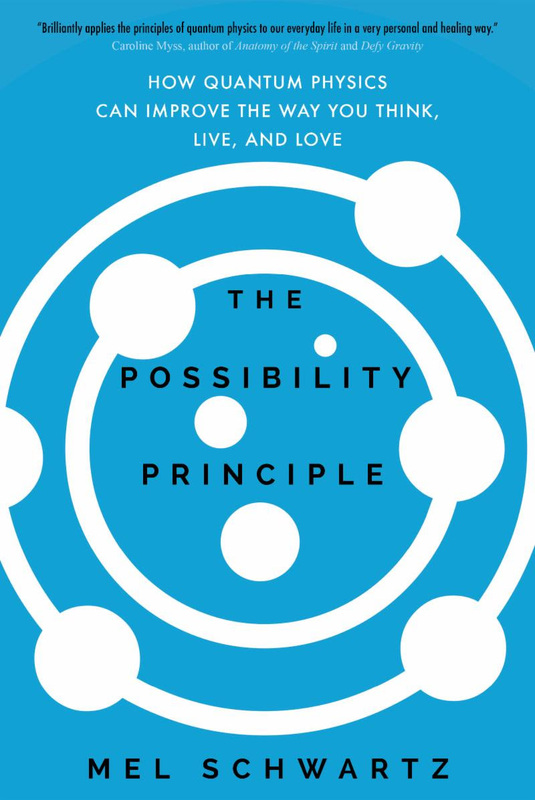 This article is the first in a series and excerpted from The Possibility Principle.